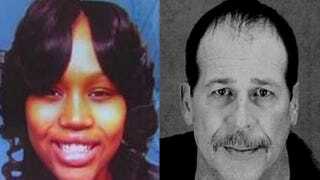 Theodore Wafer, the Detroit man charged in the killing of Renisha McBride, told investigators right after the shooting that he did not realize his shotgun was armed, the Associated Press reports. On the second day of the controversial trial, the courtroom heard a recording of the conversation between Wafer and police after they responded to his 911 call at 4:30 a.m. on Nov. 2, 2013. After police Sgt. Rory McManmon asked Wafer what happened, Wafer said, "A consistent knocking on the door, and I'm trying to look through the windows and the door," Wafer said in the recording. "It's banging somewhere else, so I open up the door, kind of like, who is this? And the gun discharged. "I didn't know there was a round in there," he added. "I don't get it. Who's knocking on your door at 4:30 in the morning? Bang, bang, bang—somebody wanting in." The 55-year-old Dearborn Heights, Mich., resident faces life in prison if he is convicted on charges of second-degree murder, manslaughter and using a firearm in a felony. His lawyers are arguing that he acted in self-defense when he shot the 19-year-old, who had crashed her car about a half mile from his house around 1 a.m., more than three hours before she appeared on his porch. McBride’s blood alcohol level was three times above the state’s legal limit. According to AP, on the second day jurors also heard from witnesses who saw McBride after she crashed her vehicle into a parked car. Damage to the screen of the front door also came under scrutiny as Wafer’s lawyers argued that the condition of the screen was due to McBride’s actions, which frightened their client. Prosecutors are saying the screen was damaged when Wafer fired at McBride.